Every day is different, though the schedule is basically the same. to create peace in ourselves and in our chaotic world. 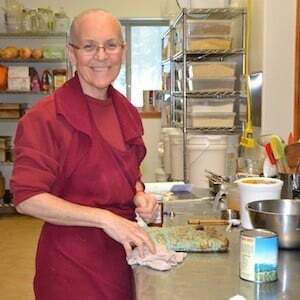 A day in the life at Sravasti Abbey is wonderfully varied, yet the same. 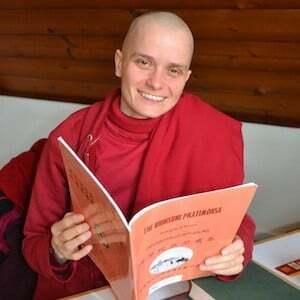 We follow a structured monastic schedule of meditation and Dharma study. Prayer and recitation punctuate the day. We also offer service in many different ways. Plus someone has to cook, wash dishes, answer the phone. Constantly. to do all actions with compassion and wisdom. “Today, as well as I am able, may I harm no living being with my body, speech, and mind. Today, as well as I am able, may I help and serve sentient beings. We make three bows to the Buddha, make a quick cup of tea (there’s no coffee at the Abbey), and head to the Meditation Hall. Meditation is where we cultivate wisdom and compassion based on the teachings we have heard. We meditate together as a group—residents and guests—at least twice a day every day, year round. The practice begins with 5 minutes of silence, then bowing to each other. 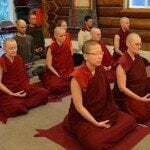 After reciting various mantras, we do prostrations to the 35 Buddhas, a purification practice. The meditation leader sets a virtuous motivation for the day. A meditation leader then guides newcomers in meditation practice. Here you learn the skills to practice meditation on your own at home. Community residents and experienced meditators remain in silence in the Meditation Hall, performing their personal daily practice commitments. Residents take turns making a simple breakfast, as we have no paid staff at the Abbey. As a guest, you may be invited to help. Before eating, we recite Praises to the 21 Taras and say Tara’s mantra, om tare tutare ture soha. Chanting om ah hum, we visualize the food transforming into blissful wisdom nectar and offer it to the Three Jewels visualized at our heart as we recite the offering verses. We eat in silence until the gong rings part-way through the meal. Abbey residents gather for a morning check in. We set our motivation for the day, then each person rejoices in something from the previous day . Here’s where we outline plans or needs for the day. 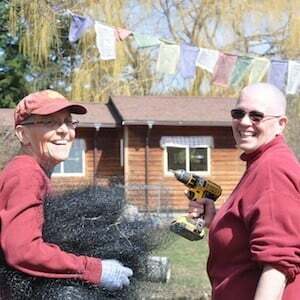 Whatever the task, we practice to offer with a joyful mind, knowing our service helps the Abbey share the Dharma around the world. Guests meet with the offering service coordinator to learn how they will support the community. We assign offering service tasks according to ability. People usually work in teams. 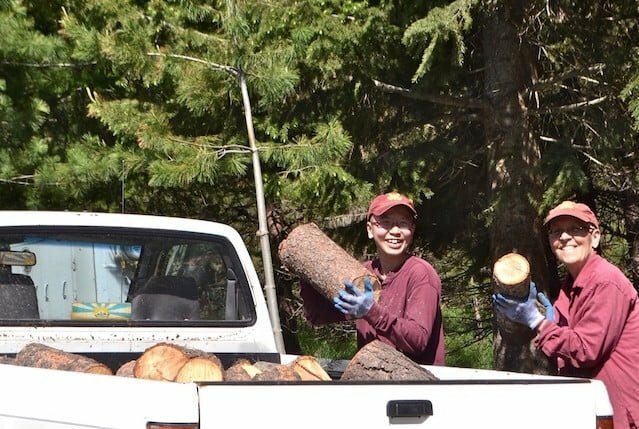 There’s plenty of outdoor work—gardening, working in the forest, and building maintenance, for example. And indoor tasks too—chopping lunch vegetables, dusting, vacuuming, or transcribing teachings. We set a good motivation for all activities by reciting the offering service prayer together. Discover more about offering service and read the prayer on the Volunteer page. 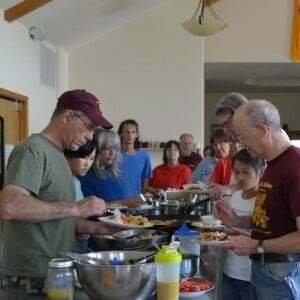 At 12:30 we sit for a pre-lunch Dharma talk, broadcast later on Bodhisattva’s Breakfast Corner on our YouTube channel. “I contemplate all the causes and conditions and the kindness of others by which I have received this food. I contemplate my own practice, constantly trying to improve it. I contemplate my mind, cautiously guarding it from wrongdoing, greed, and other defilements. Then we chant our offering food prayer, again transforming the food into blissful wisdom nectar and offering it to the Buddha visualized at our heart. We eat in silence to reflect on the five contemplations. When the gong sounds, we can talk again. 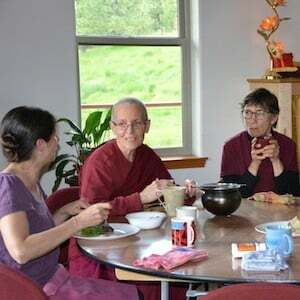 Lunch is our main meal, as many of the monastics do not eat in the evening. We are vegetarian and, following the monastic precepts of the Chinese tradition, avoid onions, garlic, leeks, and radishes. Community members take turns cooking. We’re delighted to have guests help too. More recitations follow the meal. First, we symbolically share our food with beings that suffer from hunger and thirst. 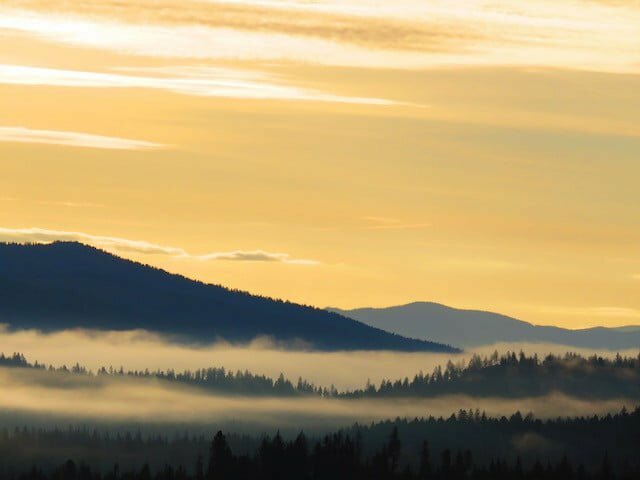 Then we chant one of seven Dharma texts—a different one each day of the week. Time for a walk in the forest, a shower, to read a book. We gather again to reconnect, get reassigned, and set our motivation again with the offering service prayer. As you can see by now, we take every opportunity to reconnect with our motivation. Learning these here at the Abbey, you can take it back out into the world. 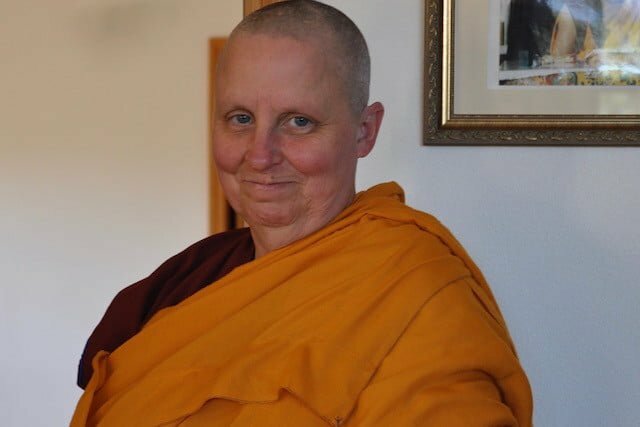 Learning and living in the Dharma are the focus of monastic life. During study time we review notes from teachings we have heard or read to delve more deeply into a specific topic. Books in the guest library cover numerous Dharma topics. There are plenty of resources to make for a fruitful study session. Generally, monastics do not eat in the evening. For health reasons, however, some people need evening nourishment, so we serve a “medicine meal.” That means we take the food as medicine to support our physical capacity to meditate in the evening. This light meal is informal, with no structured group prayers. People offer their food silently. We do not keep silence at medicine meal. On Tuesdays and Saturdays we start with Chinese chanting. You can learn more and listen to chants here. Then we end our day with meditation. Three times a month there are special pujas or offering practices that everyone joins in. Summer evenings are long and there may be enough light for another beautiful walk before bedtime. We keep silence in the evening, so it’s a quiet study opportunity too. Before going to sleep, we evaluate our day. 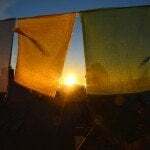 When did we follow our intention to refrain from harm, to help others, and to cultivate the steps to become fully awakened out of compassion for sentient beings? We rejoice at the successes. When did we fall down in fulfilling our intention? We generate regret, reflect how that situation arose, and think how we could do it differently next time. With purification practice, we determine to start fresh again tomorrow. 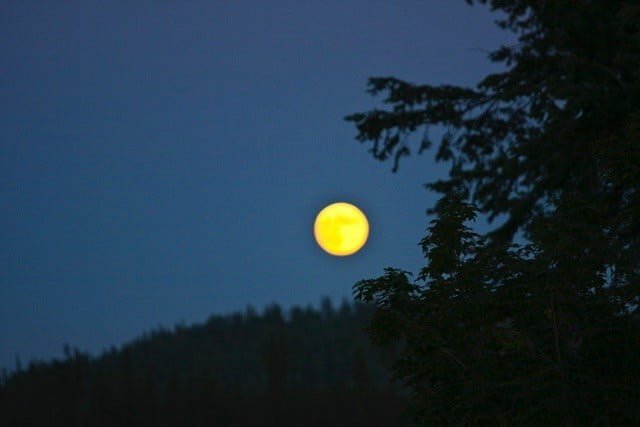 As we go to sleep, we train to take refuge in the Buddha, Dharma, and Sangha. May even our sleep be of benefit to all living beings. When you visit Sravasti Abbey, your days look like this too. 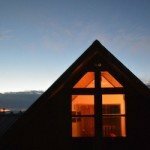 Come learn to steep your mind in the Dharma.